Yesterday, we examined the role of research in growing small businesses. Today, let’s see how decisions about product are an outgrowth of good market knowledge. When you gain a better understanding of buyer preferences and the competitive offerings of other providers, you then have the right kind of information to make better decisions. In the context of home building, for instance, design, location and pricing considerations determine both the volume of homes that can be sold, as well as the margins at which they can be sold. Design attributes must be fairly consistent with the market–even more so in a mature industry such as construction. Minor details can reflect your brand or personal touch, but don’t overdo it! The location of home sites is very important to timely sales; if homes are attractive but in the wrong area, they will take longer to sell. Finally, pricing homes to reflect profitable sales is a science–often requiring that the building company learn to gauge what the buyer will pay through past experience, a trial and error process to be sure. Design features will vary somewhat from one part of the country to another, and may even vary greatly from one neighborhood to another. The important consideration is to maintain a theme throughout the home or series of homes. This is not unique to construction–branding is important to most every industry and consistent look and feel builds equity in your product or service offering because it represents a promise that is made and kept, thereby demonstrating credibility. Whether you are a builder who hires an interior designer or a public accountant with a secretary who types up a proposal, make sure that those charged with creativity do not proceed with their own view of what is needed rather than seeking to uphold your brand. Contemporary styled fixtures in one bathroom can throw off the traditional design scheme of the rest of the home, which may feature French provincial lighting fixtures everywhere else in the same house. In like manner, a different set of colors in every PowerPoint presentation, none of which matches your logo palette, dilutes your brand. On the other hand, it is okay to evolve your brand image through minor and gradual design changes over time. Observing competitors’ design patterns can often provide ideas for introducing features (be they plan layout or choice of tub styles) that are attractive to the buying public but have been previously unavailable. The decision to make such a move must be grounded in research–that’s the main point. Once you make an effort to create winning designs that the public loves, your next consideration should be location. In home building, this would be neighborhoods in school districts that are popular. In a business like high school athletic team paraphernalia, the equivalent would be going to the stadiums or booster clubs where fans congregate in the largest numbers with the most discretionary income. Using research results, you can hone in on where you want your product displayed, sold, etc. Demographic data must support your offering–make sure there are enough qualified buyers prior to making a commitment to a distribution channel that stakes out your territory. Try to maintain a mix that reaches different target buyers with different offerings at prices and features that they have said they want–available where they want. 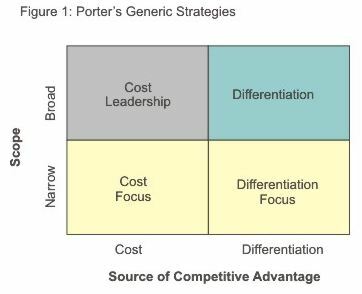 Trying to undercut the market may work in the short-term but is a strategy that only works long-term for well-financed organizations with superior control over input prices, labor costs, and real estate (think of Wal-Mart as an exceptional competitor, not a normal one.) Make sure your prices cover all of your direct and indirect costs, plus an additional margin for profits. It is often better to sell fewer units at higher margins than greater units at lower ones. In general, if your pricing is within 10 percent of the market, you will be given a fair chance to compete. It is best to compete on factors other than price, but you have to be within a reasonable band of tolerance to get the opportunity. Again, to know what the price sensitivity via research data is a competitive advantage.